Excuses such as ‘testing a new windshield’ don’t wash with police. Canberra drivers can be very creative when trying to get out of speeding fines according to information provided by ACT Policing. One driver caught doing 103 kilometres an hour in a 70 km/h zone told an officer they had “a cramp causing foot to floor accelerator”. 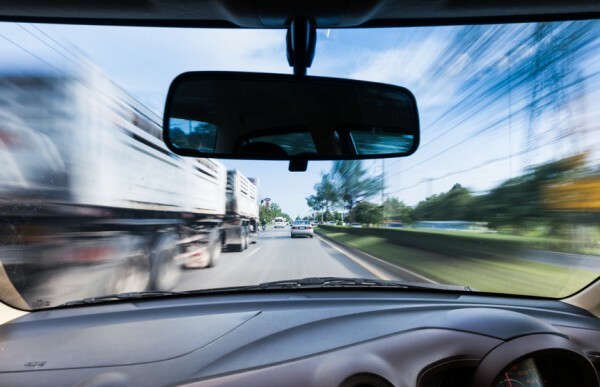 Another driver travelling at 45 km/h over the speed limit gave the reason: “I was just testing my new windshield”. Yet another driver travelling at 55 km/h over the 100 km/h speed limit said: “I have to get the boys to a weigh-in”. For a Canberra driver doing 123 km/h in a 90 km/h zone, it seems that his love life was the reason for his leaden foot. “I’ve had a bad day. I broke up with my girlfriend and I’m going home,” he reportedly said. Needless to say, none of these reasons succeeded in getting the speeding motorists off a fine. While ACT Policing officers may have the odd chuckle at some of the more imaginative excuses, they take the issue of speeding very seriously. “While some of the reasons people speed or are issued Traffic Infringement Notices may be seen as humorous to some people, the reality is there is nothing to laugh about,” said a spokesperson for ACT Policing. While ACT Policing have compiled a list of statements provided to ACT Policing officers by drivers caught speeding, they have also made it very clear that excuses don’t work. “There is simply no excuse for breaking traffic laws,” said a spokesperson for ACT Policing. “It’s not that hard to drive at the speed limit, or to remember to put your seatbelt on. The spokesperson for ACT Policing said that the ACT is a small jurisdiction but concerns over speeding are nationwide. 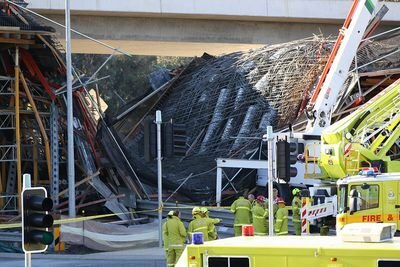 “It’s a national issue and it’s clear that many drivers just aren’t getting the message,” the spokesperson said. 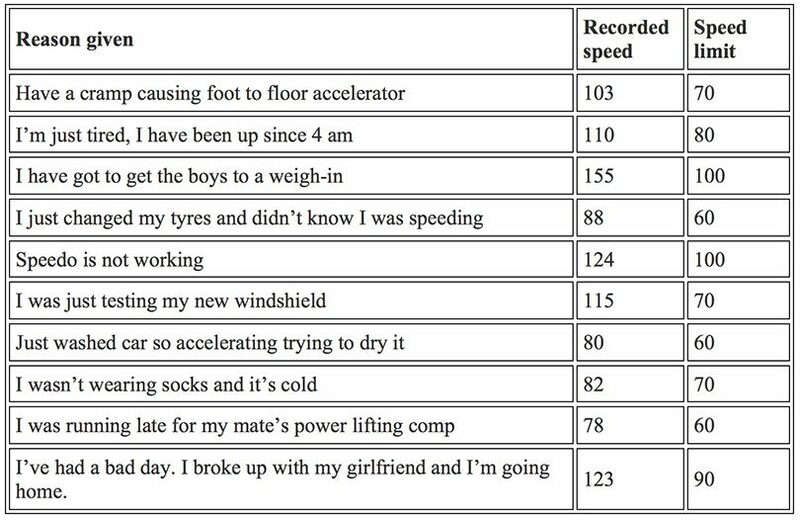 The following excuses are among those given to ACT Policing officers by speeding drivers. Have you ever heard any imaginative excuses for speeding or used any yourself? Were you successful in getting off the fine? Why do you think people feel the need to try to make flimsy excuses when they must know they won’t work? Let us know in the comments below. “I was trying to put some space between my car and the car that was tailgating” worked for me once a few years back. The tailgating car was the police vehicle. “I was running late for my mate’s power lifting comp”. I know that bloke on Facebook, it was last week and he was issued with a caution. “Just washed car so accelerating trying to dry it”. My late father used that excuse in 1985. When he said that, the cop said “The ordinance doesn’t exclude car washing, sir”. non-functioning speedo is a legitimate excuse, as long as there is sufficient evidence and the mistake was reasonable in the circumstances.